The Fox Landing bumper system allows you to have left side or right side step entry with both the bumper and additional porch landing. 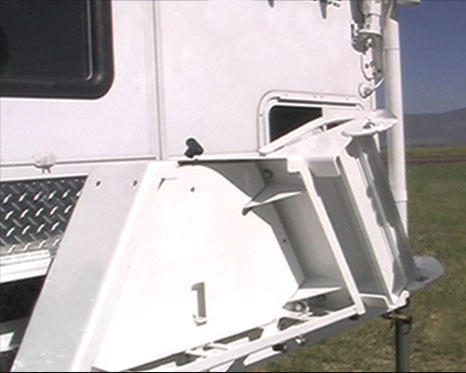 It eliminates the need to disconnect your trailer tongue for safe camper entry and exit. 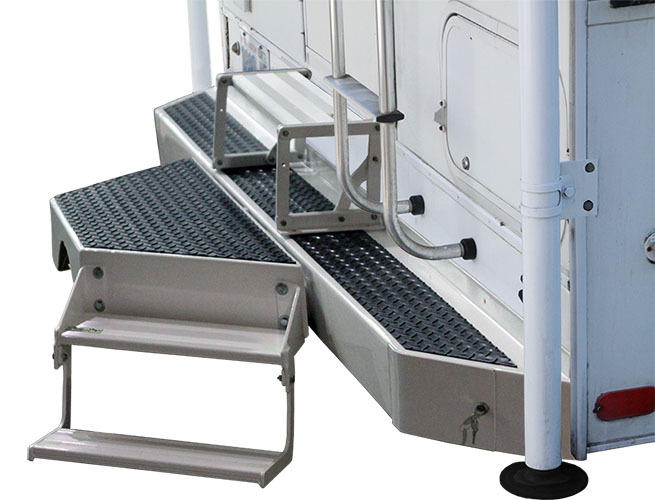 Unlike conventional rear entry truck camper bumpers that require you to disconnect your trailer for safe entry, the Fox Landing system addresses this safety issue. The foundation of the Fox Landing bumper system is the Arctic Fox Torklift bumper. Specifically engineered and reinforced to handle the additional leverage of the Fox Landing, this aircraft grade aluminum bumper is strong enough to meet all your camping needs. 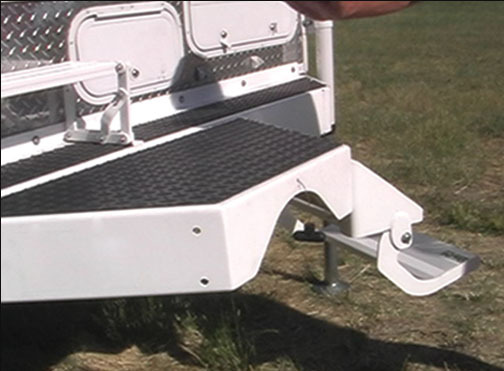 Designed and engineered by Torklift International to specifically to fit Arctic Fox truck campers, the Fox Landing system is backed by our Legendary Lifetime Warranty and is proudly made in the USA. The Fox Landing itself serves as an extension of your camping experience. 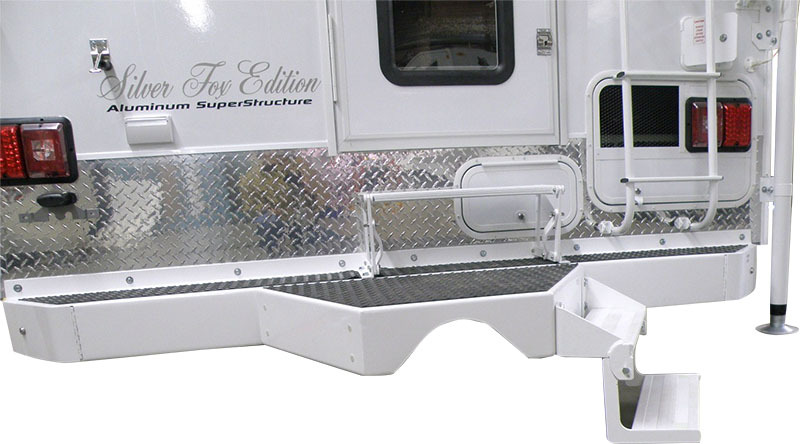 Available as an additional add on accessory that can be purchased separately from the Arctic Fox bumper, the Fox Landing is designed to be a landing/porch with side step entries for easy entrance and exit from the truck camper. The step itself detaches and is able to install on either the left or right side for entry. To order a Fox Landing please contact Torklift International at 800-246-8132.